DETROIT -- Ford Motor Co. will add or retain 12,000 U.S. jobs as part of $16 billion in planned investments under its new labor agreement with the United Auto Workers (UAW) union. 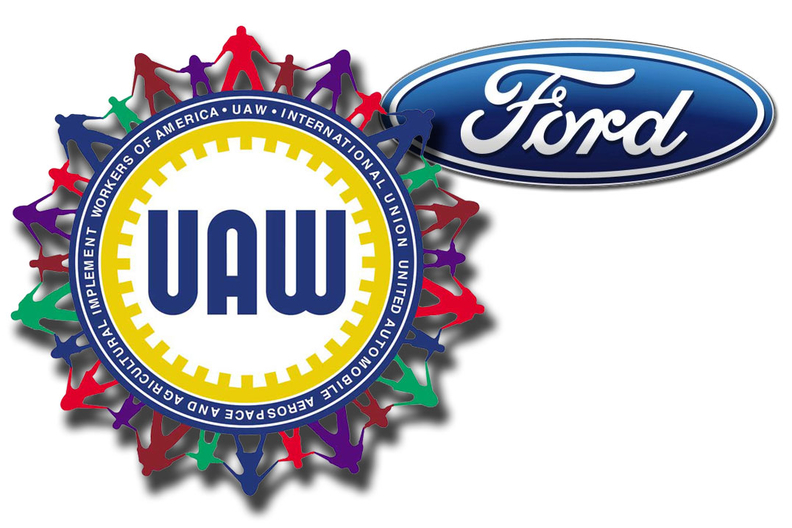 Ford and the UAW reached a tentative accord covering wages and benefits for 41,000 workers early Tuesday. The investments will cover new models, factory capacity and powertrains, Ford said. The automaker also plans to insource manufacturing work from Mexico, Japan and China. The 12,000 new or retained jobs include 5,000 previously announced positions. John Fleming, head of global manufacturing for Ford, said the agreement will enhance the automaker's competitiveness -- a top priority for the company. Ford entered talks witht he UAW aiming to reduce its labor costs, which are the highest in the industry, and gain more parity with General Motors and Chrysler Group. The Center for Automotive Research in Ann Arbor, Michigan, estimates Ford's U.S. hourly labor costs -- wages and benefits -- averaged $58 in 2010, compared with $56 at GM and $49 at Chrysler. Kristen Dziczek, director of labor and industry studies at CAR, said Ford's labor costs are higher because of bigger profit-sharing payouts in recent years. Ford also clocked fewer hours worked in 2010 because several assembly plants were down for model changeovers and retooling, though workers still collect a portion of pay and benefits based on seniority and length of temporary layoff. Ford also has far fewer workers than GM or Chrysler that earn lower, entry-level wages compared to veteran UAW employees. "Not only does Ford have fewer entry-level workers, they pay them more," said Dziczek, referring to 2009 concessions that permitted GM and Chrysler to freeze Tier 2 wages. GM agreed to raise wages for entry-level workers under a new pact that was ratified this week by a 2-to-1 margin. Veteran UAW members earn about $28 an hour, excluding benefits, while newly hired workers earn $14 to $16 an hour. Under GM's new pact, Tier 2 workers will earn up to $19.28 an hour by 2013. Ford also sought greater flexibility to deploy skilled trade workers. In addition, Ford hoped to rein in future health care costs and minimize catastrophic insurance payouts by encouraging more screening and early detection. The union is using the 2011 negotiations to reverse steep job losses at Detroit's automakers and recover concessions valued at $7,000 to $30,000 per worker since the 2007 contract. Ford's UAW ranks have dropped 61 percent from a recent peak of 102,462 in 2000 to about 41,000 today. The decrease in hourly workers has allowed Ford to cut its hourly payroll costs 57 percent from $6.7 billion in 2000 to $2.9 billion last year. The union has also been openly critical of Ford CEO Alan Mulally's 2010 compensation. Ford awarded Mulally compensation for last year of $26.5 million, generating resentment among many Ford workers. UAW President Bob King has called the payout "morally wrong."